Picture a world where everyone walks around wearing tech glasses that allow them to search the Internet and access information simply by thinking or speaking it. More often than not, these glasses will assess their surroundings and offer suggestions to the wearer about things they may be interested in. On top of this, as you walk past storefronts, trash bins and bus stop benches, there are video advertisements that instantly read information from your cellphone and tech glasses, and then assimilate this information to provide highly-specific ads catered just to you. You walk by the bookstore, and new releases from your favorite author flash across the screen; you pass the local Redbox and you are immediately shown a video preview of the latest film featuring your favorite actor/actress. As you stare at these personal advertisements, the tech glasses you have on read your eye movement and facial expressions, all the while assessing your emotional state. The makers of these glasses then take this information and sell it back to the advertisers to give them an almost instant analysis of how effective their marketing plan is. They show the advertisers exactly where you spent the most time looking on their ad, and exactly how their advertisement made you feel emotionally. They can then track your spending habits for the next few weeks to let the advertisers know exactly how successful they were in capturing your business. No, I am not describing some Orwellian novel; this is the future that Google and other tech-companies are working to create. Google already has the patents to create everything I listed here (with the exception of the real-time targeted advertising; that was created by Qualcomm Industries), and these tech glasses (or Google Glass as they are now referred to) are already for sale to exclusive clients and will be available to the general public by 2014. All of these advancements are part of Google, Qualcomm, and other tech companies’ plan to bring the world of instant-access information directly to their clients with the fewest possible barriers. And, if Google is ever able to roll out their pay-per-gaze/emotion-recognition software for use with Google Glass, then they will have created a technological empire unlike any we have ever seen. Though these plans do seem vaguely Big Brotherish in scope, I think at least for the immediate future, these advancements will be a benefit for society if they are successfully implemented. According to Google, some of the technology they are currently patenting will never even hit the market. Google claims that though they recently acquired the patent for pay-per-gaze (PPG) technology (charging advertisers for how long a user looked at their ad and recognizing their emotional reaction to the ad), they have no immediate plans to implement it. This seems questionable though, as far too much from the PPG patent is modeled to fit Google Glass for me to believe that they are not working on a plan of development. There are obvious problems that arise with PPG, seeing that this technology will not be truly effective until a majority of the population is using Google Glass on a regular basis, but it’s hard to believe that Google does not have this goal in mind for the future. The other technology that I alluded to in this intro is the Gimbal Proximity System recently developed by Qualcomm Industries. This technology accesses your smartphone when you enter into the proximity of a sign or ad from a company that has purchased this software. 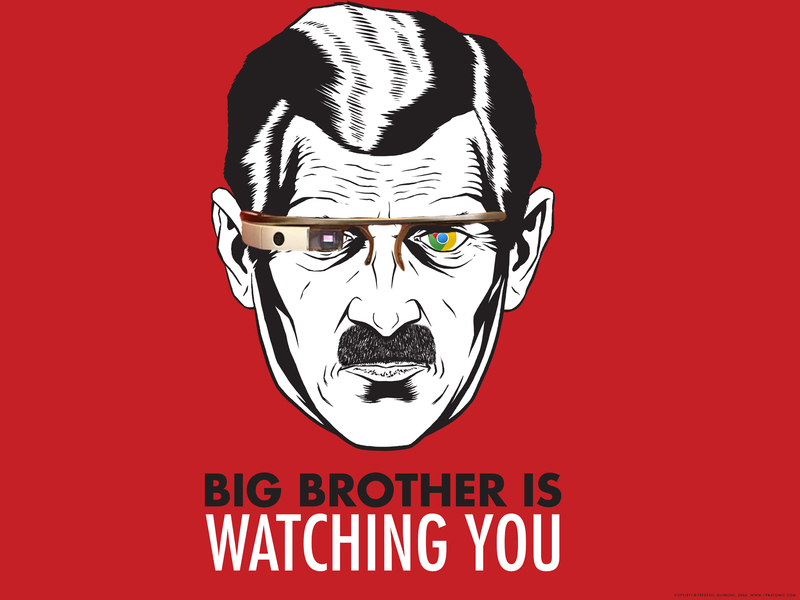 Once this happens, your browser history and personal information (age, race, gender, etc) is immediately assimilated and an advertisement catered specifically to you will appear. This could include walking by a shoe store and seeing your favorite brand, make, and size of shoe appear; or passing by a restaurant, and watching your favorite food pop up, looking delicious and inviting. There are thousands of uses that advertisers could find for this product, but the ethical questions surrounding its use must be dealt with first. Face detection software is already being used in billboards and advertisements where companies can analyze facial expressions, time spent looking, and personal information for anyone who glances at their advertisement. They can then use this information to cater their advertisements more-specifically, but should advertisers really have access to all the information contained on our smartphones? There are so many ethical quandaries with these new “advancements” that we must tread carefully and question everything in great depth before we allow it to become reality. 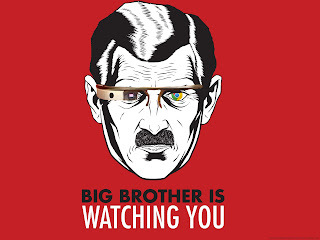 The world of Big Brother (The novel, not the TV show) was created by allowing this type of monitoring software to run rampant throughout society, and while I do not believe that Google currently has evil intentions for this technology, I must question any company that is rapidly creating a tech-monopoly where they will have eyes and ears into every facet and aspect of humans’ lives. Even the impoverished will not be free of Google’s reach; Google is currently working on Project Loon, a global mission to release a network of “balloons travelling on the edge of space” that can bring Internet access to those in the world who do not have it or cannot afford it. While this sounds like a noble goal, I think these “balloons” should be thoroughly inspected, and every data-collection or monitoring process that they engage in should be well-documented. Every dystopian novel begins with a utopia of excess and innovation that takes a swift turn for the worst, and these novels seem to mirror our current society more and more as technology continues to increase its scope and reach.